Dan Scifo gives us his take on the Penguins huge win over the Boston Bruins on Sunday, the team’s ninth consecutive victory. 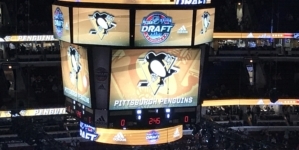 PITTSBURGH — The Pittsburgh Penguins were looking to make a statement during a nationally-televised Sunday afternoon home matinee against the Boson Bruins. The National Hockey League’s best line was at it again, this time torturing one of the top teams in the Eastern Conference. And with captain Sidney Crosby set to return soon from concussion-like symptoms, there’s no telling what the Penguins can accomplish this season. Evgeni Malkin registered his 500th career point, James Neal his 200th, and Chris Kunitz scored his 20th goal of the season as the Penguins won their ninth straight game, blasting the Bruins, 5-2, at Consol Energy Center. 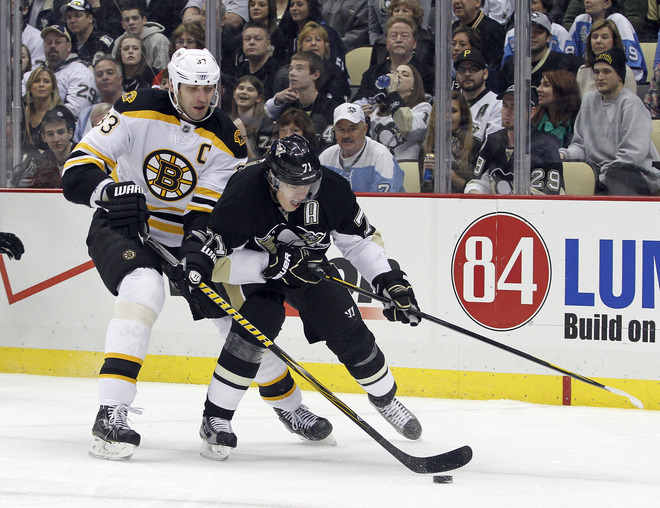 “This game had a little different feel for our team,” said Penguins’ head coach Dan Bylsma. “We were playing a really good team, we were playing a team that’s No. 2 in our conference and a team that won the Stanley Cup last season. The Malkin-Neal-Kunitz line, held without a point the past two games, made its statement with seven points against the Bruins, the line’s highest single-game output since combining for nine against Tampa Bay on Feb. 25. The trio has 77 points in 22 home games since Dec. 13. 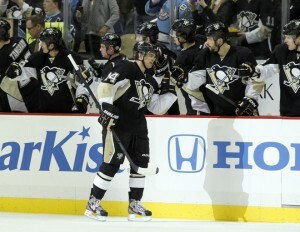 “They get a lot of attention and in some of the games there hasn’t been a ton of room out there for them,” Bylsma said. “Teams are matching up and really focusing on them. 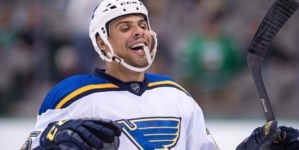 Neal, who scored just three times in February, was held without a goal for seven games after signing a six-year $30 million contract extension, but he broke out of his slump in a big way with a goal and two assists on Sunday. “When you’re not scoring, it’s a little bit of a struggle, but once you fight through those and get one it feels that much better,” Neal said. Kunitz, Arron Asham, Pascal Dupuis, and Matt Niskanen also found the back of the net for the Penguins, while goaltender Marc-Andre Fleury, who ranks second in the league with 37 wins, stopped 34 shots, extending his career-long eight-game winning streak. “He’s an unbelievable goalie, he plays unbelievable every night, and he gives us a chance to win,” Neal said. So does Malkin, the Hart Trophy candidate for the league MVP, who registered three assists and moved back into the lead in the NHL scoring race with 84 points. “I’m not thinking about my points now with the season continuing and the playoffs coming soon,” said Malkin, who leads Tampa Bay’s Steven Stamkos by two points. The next game is a pivotal one Thursday against the Eastern Conference-leading New York Rangers at Madison Square Garden. A week ago, some felt the Pens couldn’t catch the Rangers, but now, thanks to their recent nine-game stretch, they find themselves trailing by just four points. The Penguins could have Crosby back as soon as Thursday night. The former league MVP has 12 points in eight games, but he has been out since Dec. 5 with concussion-like symptoms. Crosby was cleared for contact last week and mentioned Sunday’s game against Boston as a possible return, but he decided to wait before coming back. His teammates don’t mind. 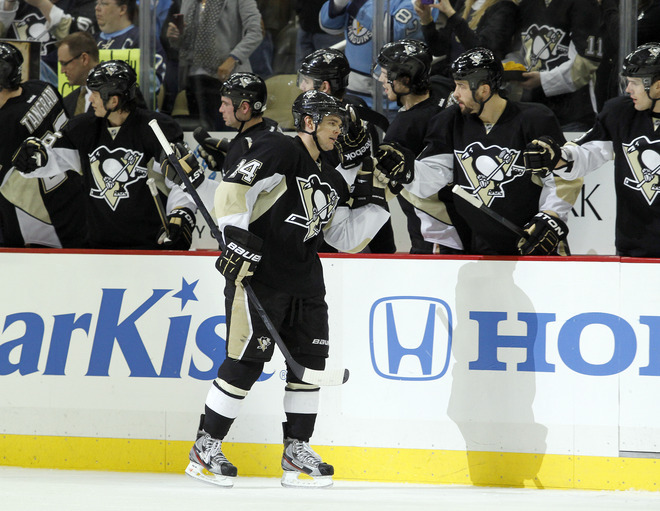 With Malkin, Neal and Kunitz clicking, they’ll welcome him back whenever he chooses to return. The Penguins jumped on Boston from the get-go, chasing Bruins’ goaltender Tim Thomas with three goals on 10 first-period shots, and scoring four of the first five goals of the game. Newly-signed backup Marty Turco, making his first NHL appearance in over a year, played the final two periods, stopping 20 of 22 shots, including an acrobatic second-period save on Jordan Staal. Turco allowed the Bruins to keep it close as Boston twice turned a three-goal deficit into a two-goal game, thanks to a pair of David Krejci goals. But Fleury, with the Bruins pressing, never allowed it to get any closer during several key second-period stops and another in the third when he came up with a sprawling glove save during a penalty kill. “He seems to make one of those every night,” Neal said. Dupuis, who has 16 points in his last 22 games, scored his 18th of the season on a breakaway with 3:53 remaining to effectively end it. Asham started the onslaught 3:24 into the game, taking a tipped shot from defenseman Ben Lovejoy and putting it through the five-hole of an out-of-position Thomas. Malkin became the 17th Russian-born player to reach 500 points and Neal recorded his 200th point on a goal by Niskanen 3:48 later to give the Penguins a 2-0 lead. The Penguins cashed in on a two-man advantage late in the first after Milan Lucic and Bruins’ defenseman Zdeno Chara were sent to the box. Malkin hit a streaking Neal, who wristed his 31st of the season behind Thomas with 1:12 remaining in the period. Kunitz scored his 20th of the season, 2:31 after Krejci trimmed the deficit to 3-1, finishing a tic-tac-toe passing sequence from Malkin and Neal with a one-time blast behind Turco. It was a fitting goal, the physical nature the Penguins were playing, considering Malkin had a defender draped on his back before sending a pass in front to Neal, who one-touched it to Kunitz for the goal. “I think we’ve shown that we’re comfortable and we can play the different types of games against different opponents,” Bylsma said. NOTES: The Penguins are 21-4-1 since Jan. 13…Malkin, with 502 points, surpassed Syl Apps for eighth place on the team’s all-time point list…the Penguins are 53-32-9 over the previous two years without Crosby, including a 37-19-4 mark in 58 games this year…Only Boston’s 10-game winning streak earlier this season has been longer than Pittsburgh’s current nine-game stretch…The Penguins have killed off 21 straight power plays, including seven consecutive where the penalty kill has been perfect…Staal extended his career-best point streak to eight games… The Penguins were perfect in a homestand of four or more games for the first time since 1999…The Penguins, prior to Sunday, last defeated Boston at home March 7, 2010. ***In addition to his work here at FTP, Dan is the Assistant Sports Editor for the Latrobe Bulletin. Did Sunday’s 5-2 victory over the Bruins give any clues to line combos moving forward?